I've been thinking about this subject for a while. 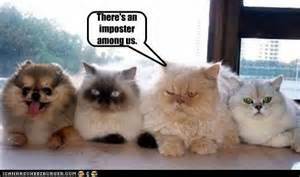 It's funny because even the thought of writing a post on Imposter Syndrome makes me feel like an imposter! For those of you who are unfamiliar, Imposter Syndrome is a term coined to describe individuals, often high-achievers, who feel like imposters or frauds. These people often attribute their success to luck rather than skill and can develop anxiety about being exposed. If you google 'Imposter Syndrome Writer' you'll see that it appears to be a widespread problem amongst writers and certainly some of the writers that I most respect have spoken about it, such as this post by Mary Robinette Kowal and this episode of Writing Excuses with Alyssa Wong. Better people than me have offered coping strategies and since this is new to me, I don't have any to share anyway! Mostly, this post is just about my experience, as I started this blog with the intention of giving an honest, warts-and-all account of my journey to becoming a professional writer. Recently I have been struggling with feelings of being a fraud. I had wondered if part of it is my unusual journey to publication. I had steeled myself for years of rejection and multiple manuscripts gathering dust in a (metaphorical) drawer before possibly, maybe starting to get somewhere. That's the journey that we've all heard of. We all know about JK Rowling's multiple rejections before Harry Potter was picked up. Brandon Sanderson wrote, I think, thirteen books before Elantris found a home. Stephen King has spoken openly about the many rejections he received before Carrie was published. I was prepared for that. I had the attitude that each rejection would be step toward success. Instead, I completed the first draft of Ashael Rising in January of this year (2016) and pitched it to Unbound on a whim. You can imagine my shock when the first draft of my first novel was accepted. It's the complete opposite of the journey that I was expecting and I don't think I've managed to wrap my head around it even yet. At first I put it down to Unbound being a small, fairly unknown, publisher, one whose mission is to give a voice to writers who are likely to be overlooked by mainstream publishing. I thought that maybe their standards weren't as high as the big five. Having now read several books by other Unbound authors I can categorically state that I was wrong. The books they select for publication are of a very high standard. From The Wake by Paul Kingsnorth, which won the 2014 Gordon Burn Prize and the Bookseller Book of the Year Award, was longlisted for the Man Booker Prize, the Folio Prize and the Desmond Elliott Prize, and was shortlisted for the Goldsmiths Prize, to Alice Joly, who won the PEN/Ackerley Prize for her memoir, Dead Babies and Seaside Towns. and of course, there's Nikesh Shukla and The Good Imigrant. The standards at Unbound are high indeed. I am humbled to share a publisher with the many talented authors at Unbound. I am left to winder how I managed to sneak in there with them. I thought for sure I would be discovered when Ashael Rising went in for editing. I was assigned an editor who used to acquire books for Del Rey and has worked with Andy Weir, Kameron Hurley and Django Wexler amongst others. Of course, he would spot me as an amateur who somehow stumbled into the professional sphere by accident. But, no. To my great relief (and continuing confusion) he loved the book and gave me a very complimentary report. He even made a comparison between me and one of my favourite fantasy authors of all time. It seems insane to me. I kept waiting for a follow- up e-mail apologising for the confusion, the report was really meant for another book. Now come the advance reviews, as we prepare for publication. You can read the first of these here. I don't know what to do with all the compliments in this review. I don't feel like I've earned them. Now, I am not someone you may typically associate with something like Imposter Syndrome. I've always thought that I had a fairly realistic view of myself, neither overly critical nor overblown. I know my strengths and weaknesses. But this is all new and it's interfering with my sense of equilibrium. I don't know if there's a way to deal with these feelings or if it's something that I'll finally get over. Will I feel like I've truly 'made it' after the second book? The third? The twenty-third? I don't know but I'll keep you posted. What about you? Have you experienced Imposter Syndrome? Do you have nay tips for how to overcome it? Leave a comment!